Using a wheelchair can quickly take a toll on the hands, so you will want to be sure that you have the right, quality wheelchair gloves to help make your travels easier. Allegro Medical has many different types of quality fingerless wheelchair gloves available in a range of colors and styles. Some of the brands we offer include Hatch, Sammons Preston, and AliMed. You can find cold condition wheelchair gloves, as well, which are great for those who are outside in colder weather. 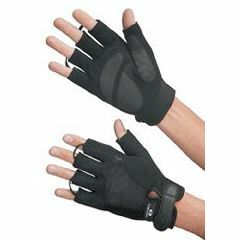 For your wheelchair winter gloves, be sure to consider AllegroMedical.com and save with our Best Price Guarantee.